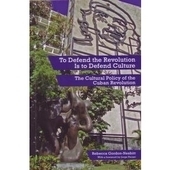 46 chapters from a diverse range of 57 contributors, many Cuban, - a broad spread of academics and journalists and also a few artists and musicians. 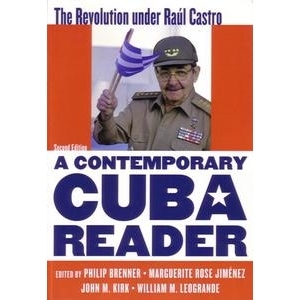 The stated goal of the editors of the first Contemporary Cuba Reader Making of a Revolutionary Society anthology in 2007 was to provide undergraduates with a resource that brings together the best of Cuban scholarship. 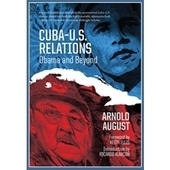 This completely revised and updated edition from the same editors examines the consequences of the succession of Fidel by Raul Castro and focuses on the changes that have occurred since 2006 in politics, economics, foreign policy, culture and social change. With no comments or facts beyond 2013 it is already dated by recent historic events and sadly lacks something as a “contemporary” reader. That is not to say its 46 chapters from a diverse range of 57 contributors – a broad spread of academics and journalists but also a few artists and musicians, are not worth reading. There is plenty to learn, enjoy and explore especially if new to Cuba, with well referenced sources and notes. But like any curates egg you must expect good with some bad in parts. The editors preface each section and the articles try to give a useful introduction to the changes that Cubans have been recently experiencing (although three are for context and pre 2006). The majority are already published pieces and as more than half are from the US, praise for the “regime”, is often tempered by a critical reflection and at times a lazy anti-communist negativity. The problem with any broad anthology covering such a wide sweep of topics is that it can leave you wanting more. A good example is retired diplomat Carlos Alzulgarays 2009 essay on Cuba at 50 which emphasises that the country finds itself at a crossroads and changes are needed within the continuity of the project started with the revolutions triumph. In stressing the need for such to be made in politics and governance to “achieve a democratic culture” we are left no wiser from the book whether this self-defined objective has been accomplished. William LeoGrande sirens “the complex political panorama” and concludes the future of the revolutionary regime that Fidel and Raul founded will “depend on whether it can adapt” to emergent social and political forces or “is swept aside by them.” He focusses on that old battle between the “reformers” and the “hard liners” although this is much better understood by Cuban social scientist Rafael Hernandez who in an interview from 2011 clearly attempts to explain the relationship between “leaders and the led”. Other strengths include Margaret Crahan s updated discussion of religion and a “ripening” civil society, John Kirk on Cuban Medical Internationalism and Par Kumaraswami and Antoni Kapcia on literature, publishing and nation building in contemporary Cuba. As the editors wanted this is ideally suited for students and is a good introduction to the subject.